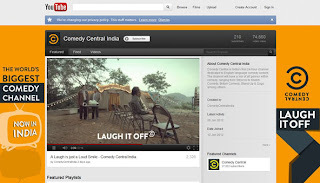 Digital helps build a television brand. This one is for all the digital marketing naysayers (are there any left?). Viacom 18 launched a dedicated English Comedy Channel, Comedy Central in India, early this week. 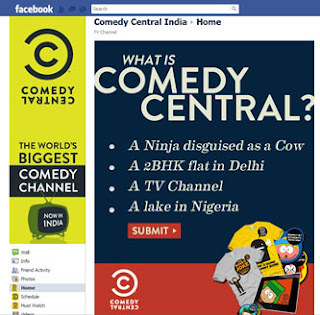 To reach its predominantly Metro TG with the communication ‘Laugh it off’, Comedy Central has chosen social media and video on digital to create awareness. The Facebook Wall is predictably action packed with programming and schedule updates. There’s a Weekly Schedule, Video trailers from Youtube of Must Watch shows and a Contest for which no details are available even after participating. Case of the missing QC. The Comedy Central Youtube Page has some promo videos and the Twitter page is replete with some general, irreverent tweets. The assets and the basic execution are all there. Remains to be seen where they are taken and how they are leveraged from here on. By the way, why don’t they have a website yet? 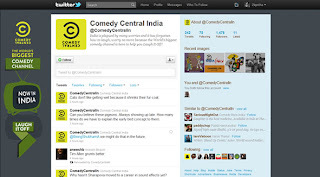 Another case of social media = digital presence.